← I didn’t see the Grand Old Duke of York, just the town. 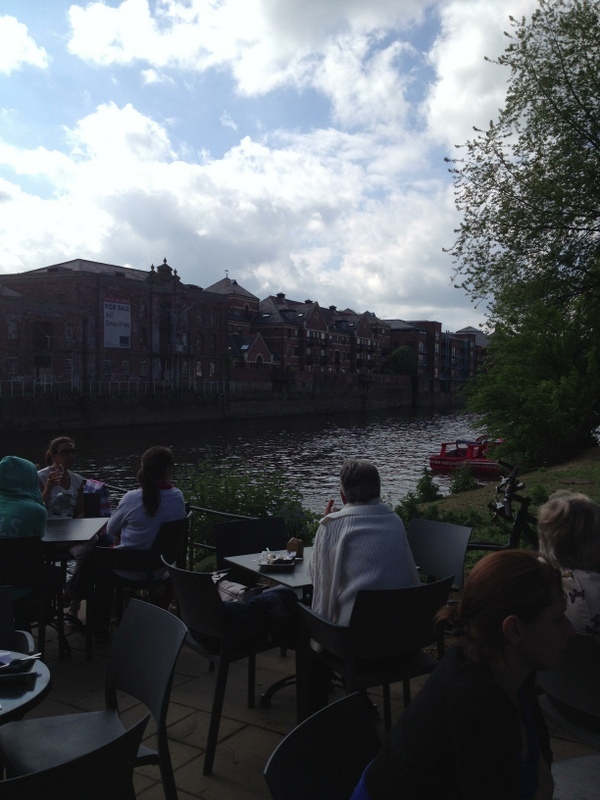 What I saw in York – in one day! York is one of those places with their defensive walls around the city still intact, actually more so than lots of others I’ve seen. There’s a set of stairs not far from the B&B so I headed along the top to the town centre. 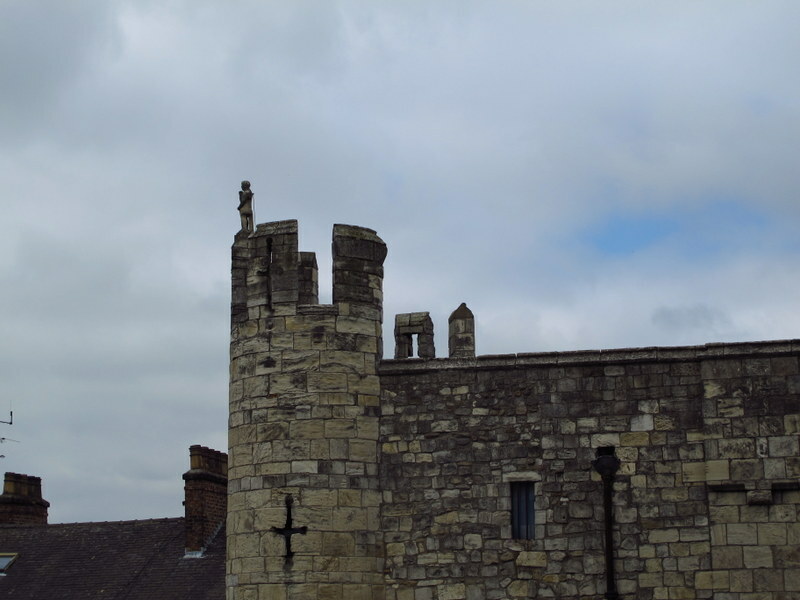 I came across the Micklegate Bar Museum on the way and stopped in for a quick look – £4 I think off my York Pass total. I’m a shocker for not reading things if I’m not really interested, but I did read it was used for a long time to hold prisoner for their last 24 hours before execution and they were then executed nearby – I’m guessing one of those “speak to the dead” people would get a lot of custom around there. Anyhow, they had lots of costumes that you could dress up in and take photos of yourself looking like a half-baked idiot if you wanted to – I thought about doing it decided that wasn’t really up my alley, so just took a few pics and left again. York has a wheel, like the London Eye, I didn’t try it out, but it made for some cool photos! Next stop was the Yorkshire Museum, masses of Roman history again, extremely well done, and quite a bit for the natural history buffs, even a skeleton of the poor old dodo bird. 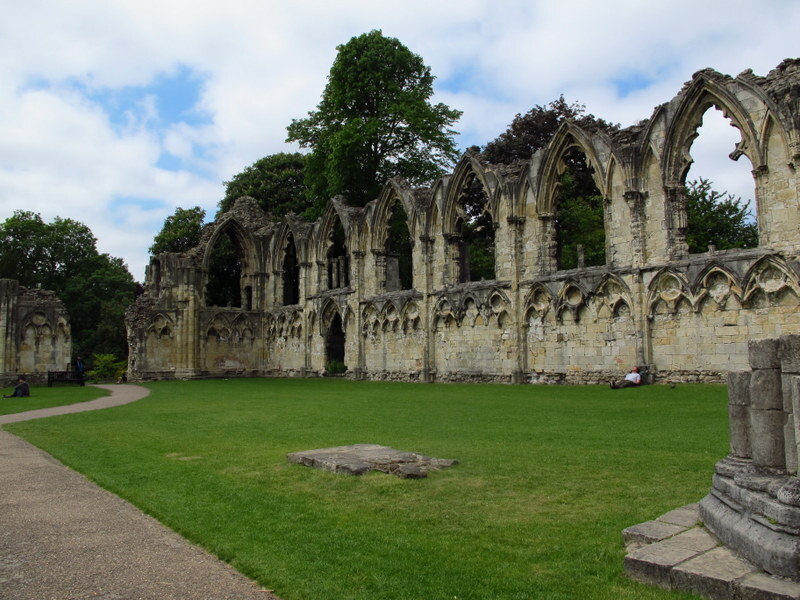 The museum is set in the city’s Botanical Gardens with the ruins of a Roman fort dating from about 107AD, St Leonard’s Hospital from about 1200 AD and St Mary’s Abbey built around 1080 all sharing the space. It’s quite a gorgeous place and true to form hundreds of people were out having picnics, walking or just plain old sitting watching the world go by, I just loved the whole place. 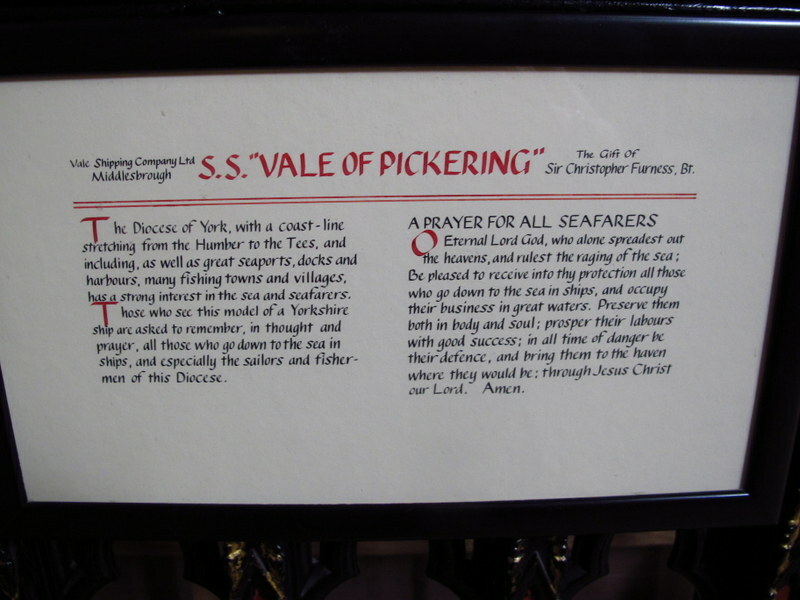 Well, the York Minster (cathedral) is right up there on everyone’s list of places you HAVE to see in York – not surprisingly, given my earlier track record, it didn’t rate that highly on my scale. Maybe if the big wall of stained glass windows wasn’t covered for renovation I would have been more impressed but great big ornate cathedrals just don’t do if for me, I think it might have more to do with the religious thing than the buildings themselves. I mean, anyone would agree, it is a work of art, but I tend to always come back to that theme of – what for, why, couldn’t the money be better spent? What I have found now though, is that I like reading the memorial stones, some of them give little bits of stories, they’d have fascinating history behind them if you only knew. So, having got that one out of the way early I was then able to pick and choose which of the vast number of places my pass would get me into to visit – apparently the York Pass is loaded with well over £100 worth of entry fees – I hadn’t even started to put a dent in it yet. Not far from the cathedral I found the Treasurer’s House. Way back in the 1500’s it was the treasurer of York Minster’s house, hence the name. It’s a strange sort of place, there are Roman ruins in the basement, which is now a cute little café. The rest of the house has been kept how it was when Frank Green gave it to the National Trust in 1930. He had bought it in 1897 when it was in a sorry state and renovated it to suit his own little vision. From what I could gather he didn’t really live in the flash parts, they were more just for entertaining or for visitors – maybe eccentric would describe him best. Anyhow, it was interesting and the walled garden a great place to sit and have coffee and cake. I hardly believe how much I saw in one day, but there’s more – Barley Hall, in amongst the little old alleyways with old timber clad buildings hanging over the streets all crooked and cute. Barley Hall was only discovered to be of medieval origins, probably early 1500’s, in the 1980’s – amazing that it has survived all that time isn’t it? It was another quite short visit because there’s not really that much to see, but they have ingeniously geared it towards children, with dress up clothes and games. Wow, what a day, I had a simply marvellous day, although I reckon sometimes I must look like one of those clowns in the side-shows, with my mouth open, head constantly going from one side to the other. I felt the walk home needed to be broken in two, my feet were badly in need of a rest, so a stop at the café on the bridge for a Pimms or two and some people watching sounded like a plan! 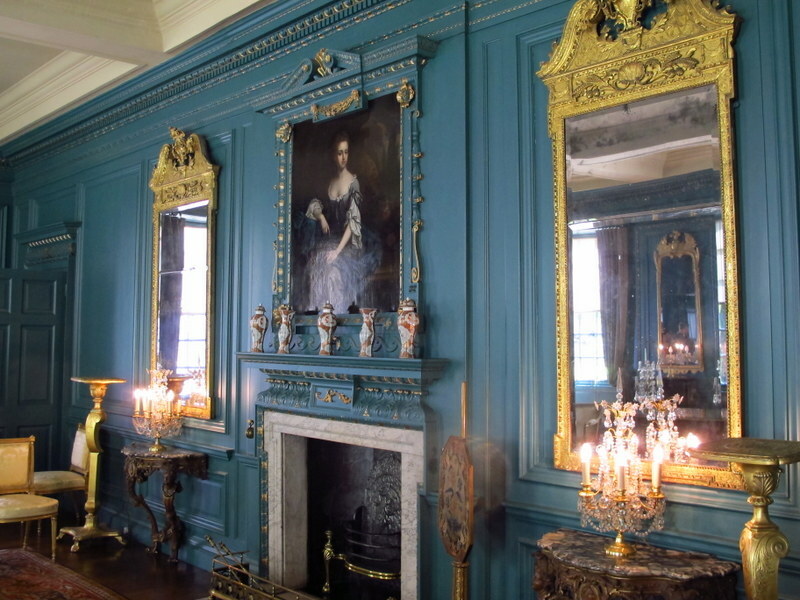 Wow, fancy a link to royalty – well maybe. Something for you to check out in your latter years. Some great photos in your collection – no doubt there are heaps more. Thanks for the compliment Baz, I thought you might like to chase the royalty link!